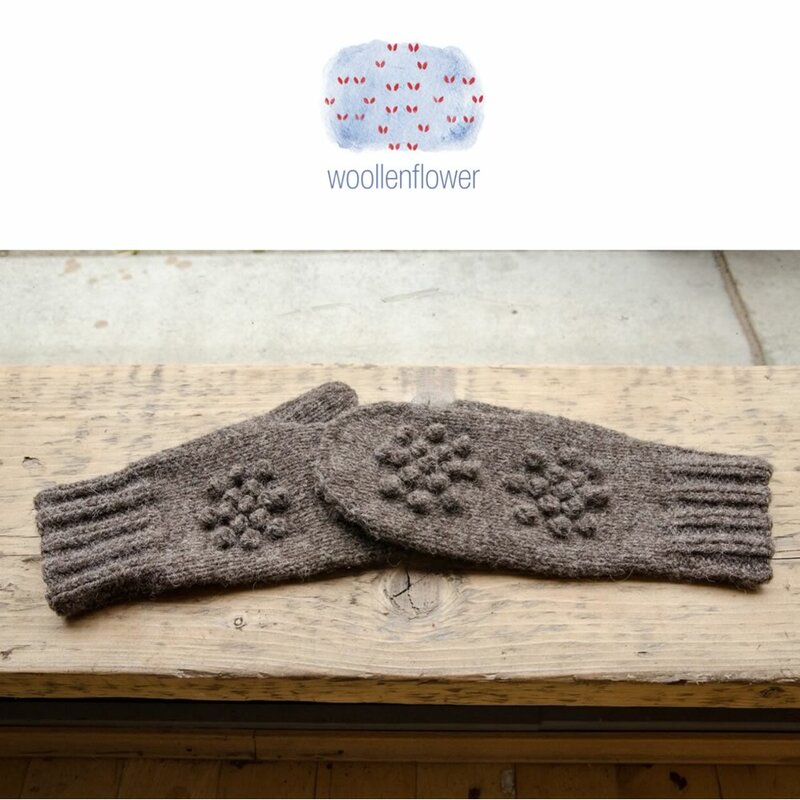 Designed by Julia Billings of Woollen Flower, this patterns for mittens was inspired by Julia’s visit to our smallholding, and is exclusive to Rosedean Ryelands. 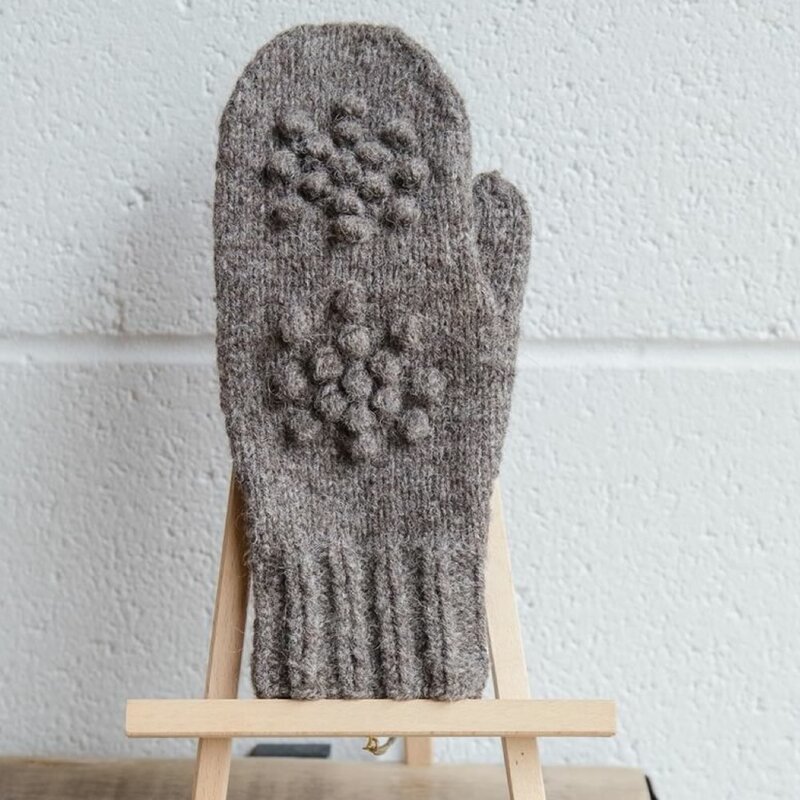 On a visit to my friend Rosemary’s farm, I was struck by the way the ewes in the lambing shed clustered together in two distinct groups: those awaiting the onset of labour and those in the throes of it… there was an invisible line very much dividing the two as we waited and watched two mothers deliver their lambs- at which point, all in a rush, the other ewes ran over, smelled the new lambs and then reclustered on the other side of the shed! 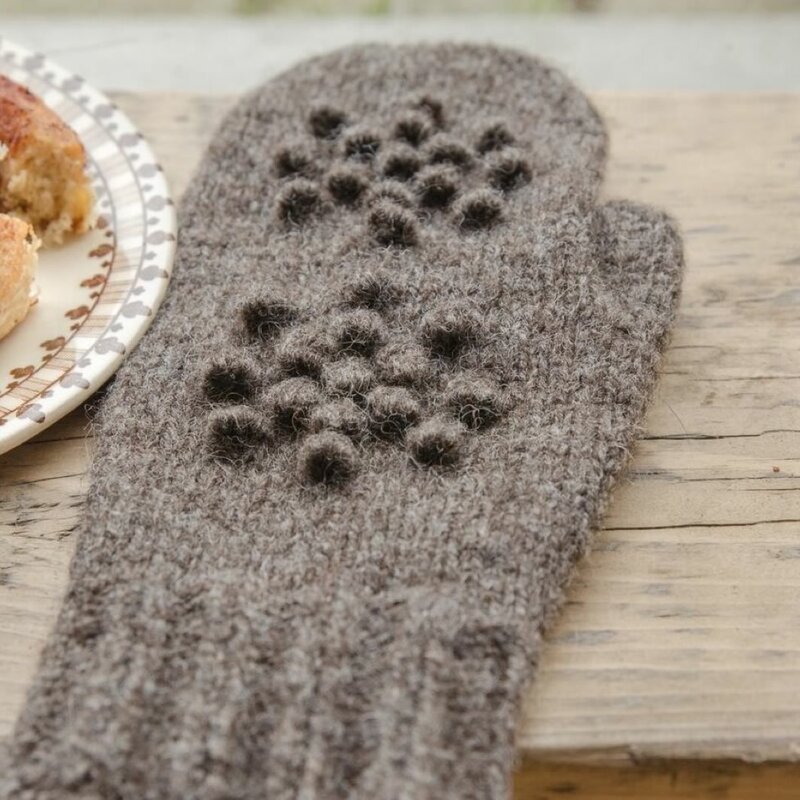 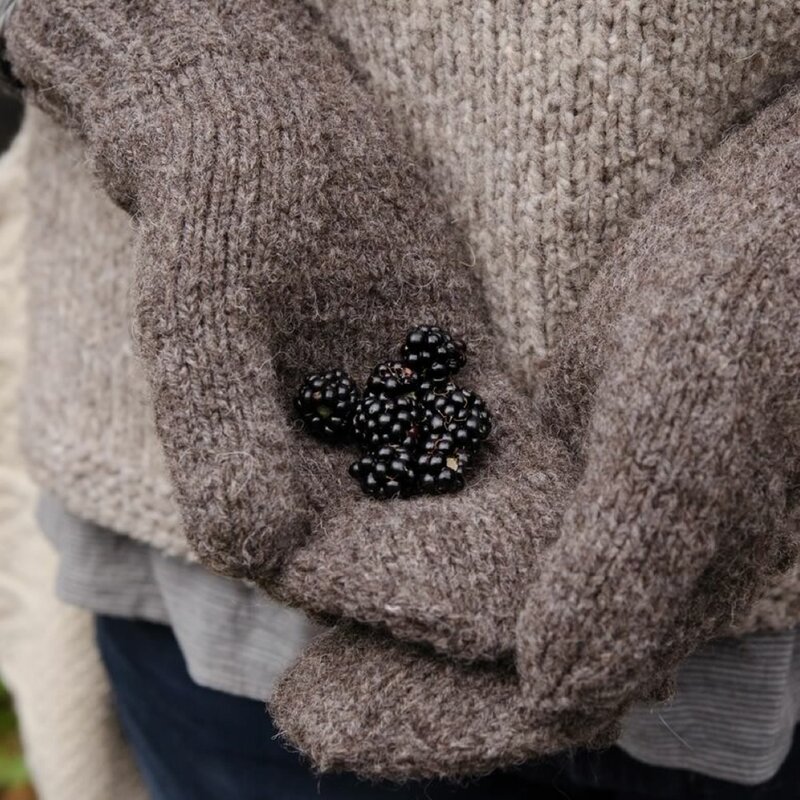 Knitted in Rosemary’s first batch of yarn from her much-loved Ryelands, these are working mittens: warm, windproof and densely knitted to last for years.